For years as a “professional journalist,” I toiled away in newsrooms with my colleagues, first in front VDTs, then computers and laptops, endeavoring to tell readers what we thought they wanted or needed to know. For the last 10 or 12 of those years, I’ve spent a lot of my time reminding my colleagues that it just doesn’t work that way any more. Yes, there’s a critical role for journalists who are trained to seek out and report news, to hold institutions accountable, to investigate. Basically, we need them to do the hard work no one else wants to do. But the world of conventional journalism has long since been disaggregated (as has the business model; as this Nieman Lab report notes, “Politico is only about politics; Cars.com is only about cars). For newsrooms, that disaggregation is about content. There’s numerous places online to find restaurant information (thanks, Yelp, and its massive audience of contributors) and recipes (too many sites to name) and movie information (RottenTomatoes, anyone?). All this is part of my way of introducing the direction this blog will be taking going forward. We’ll be looking at the way journalism — or at least, new forms of it — are leaving the conventional newsroom and moving into new newsrooms of a sort. These newsrooms are within the walls of corporations and brands that sell products and services to you. They’re newsrooms that, when done well, provide sound, useful, unbiased and often entertaining information — with the hope that the consumer of the information associates the brand with reliable content. Sometimes, the posts will be about my own observations. Often, I’ll be curating content myself on the subject of "brands as publishers” or, as it’s sometimes called, “content marketing.” What it really should be called, however, is just information. But it goes beyond the kind of information like the recipes you’ll find on a site operated by Kraft and dedicated to its boxed macaroni and cheese product. See, the trick is, the information needs to be good. It has to be informative. It has to at least be entertaining. Closer to home, consider St. Louis-based niche product marketer Vat19.com. The company markets “curiously awesome products” such as a half-gallon margarita glass, magnetic putty and beard stocking caps. 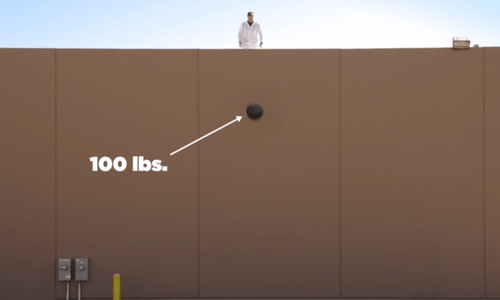 Every product comes with an entertaining video. Most of them make me laugh. Lousy content doesn’t work. Content that looks like advertising doesn’t work. I’d be curious to know whether Kraft’s site works. It’s got recipes, sure. But everyone knows the point is to get readers to buy more Kraft Macaroni and Cheese. That’s what we’ll be looking at going forward. Fewer tubs of cheese. More vats of yummy content. A boatload of interesting strategies (plus some tools I had not heard of before). Can algorithms tweet better than people on Twitter? So, apparently, I don’t know a good tweet when I see one. 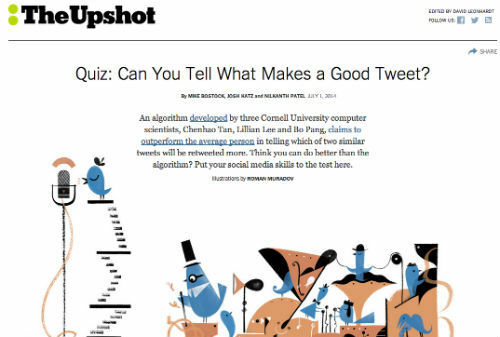 According to the New York Times blog The Upshot, a group of researchers from Cornell University developed an algorithm designed to predict which of two tweets would be retweeted more often. The Times created a nifty quiz showing 25 pairs of similar tweets, and giving us ordinary folk the chance to predict which one got passed around more often on Twitter. I scored correctly on 14 out of the 25. The algorithm scored correctly on 18 of them. Why don’t you try the quiz and let me know how you did?